I want to take a moment to tell you all about a great film that I first saw on TCM on Christmas Day in 2013. 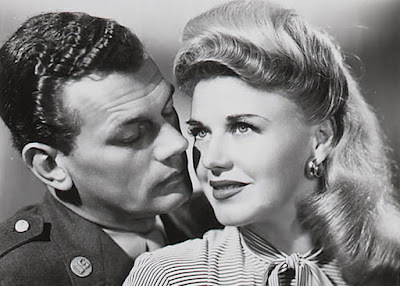 The film is I'll Be Seeing You (1944), directed by William Dieterle. He's a director I'll admit that I don't know a lot about. He directed The Hunchback of Notre Dame (1939) and a handful of other films I've seen. Since then I've seen the film a total of five times. Here's my complete watch list for this film if you're curious. 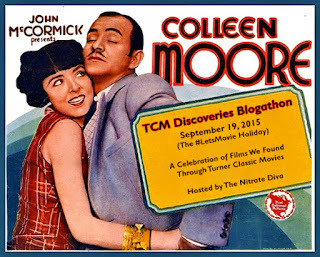 Before I dive into the details of this film, I need to say this post is being written as part of the "TCM Discoveries Blogathon" hosted by the passionate 'The Nitrate Diva' who for years I thought was blonde and smoked. She may not know this, but she's an inspiration to me. Young and so very knowledgeable about classic film. Quick with a smile or a kind word...it's a pleasure to call her a friend. This isn't grand cinema by any means...it's a small film about two people who meet and fall in love. A 'nice little romance' if I had to sum it up. Ginger Rogers, who plays Mary, a woman who's in prison for homicide and is on a ten day furlough for the Christmas holiday. Shirley Temple, who plays Mary's younger cousin, Barbara. Along with these are the wonderful Spring Byington who plays Ginger's aunt. A quick word about Ms. Byington...she's one of my favorite character actors and usually plays a slightly offbeat character, but here she's the solid rock that Mary needs. Shirley Temple is quite good in this, too. One of her great adolescent roles, I'd say. There's an interesting story about how George Cukor was brought in to pull a performance out of Temple in the most dramatic scene in the film. Cukor was tough on her. They shot the scene twelve times. In the end, Cukor got what he wanted...emotion. But the experience rattled Temple. 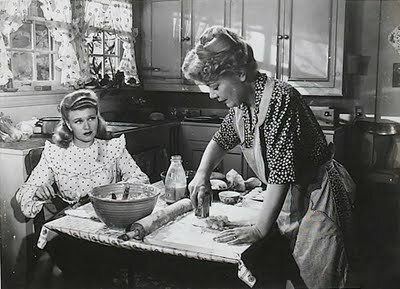 Many folks know I'm a huge Ginger Rogers fan. I like her dance films, but I particularly like her dramatic films like this one. 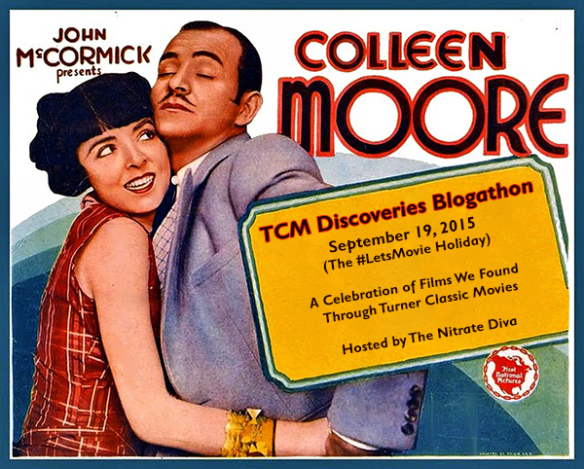 A few others to check out (if you've never seen them) are Stage Door (1937), Bachelor Mother (1939) and Kitty Foyle (1940). First, it's one of the first films about men returning home from war...some in a delicate condition...all with their lives having been changed forever. It was released two years before that sub-genre's ultimate film: The Best Years of Our Lives (1946). I think it must have given the movie-going public an idea of the horrors of war and what can do to a man's psyche. Next, it's a story of two people, each with a secret that they're trying to keep from each other (and the world at large.) Each whose lives have been altered...maybe permanently. Sadly...while they try to keep their secrets in, what they really need is to share their struggles and offer their support and empathy of the other person. If you've never seen it, try to catch it when it airs on TCM...usually around Christmas. Or just watch it on YouTube here.